I consider myself to be a big animal lover but with having lots of them comes the smells on EVERYTHING. Even though I have always had multiple animals, I have tried very hard to keep my home from smelling that way. In the past this meant burning candles constantly and having air fresheners in every outlet around the house. Well, that was until I had kids and become more aware of all things green friendly. Now I also have to worry about the additional smells that come with kids (oh and I have boys so I've got it even worse)! Candles are a rarity nowadays in our house and the lower outlets either have baby plugs in them or nothing at all since I hate keeping anything plugged in and using energy. I've been forced to search out either more options or stronger current ones and lets be honest no one wants to mask one smell with another. That doesn't exactly get rid of the odor. Also who really wants to add a bunch of mismatched air fresheners around the house. 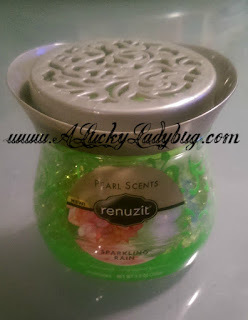 I was thrilled to learn about the new Renuzit® Pearl Scents®. With a new look which finally adds to your decor instead of distracting and looking tacky, the Renuzit® Pearl Scents® leave a subtle but lasting smell around the home. 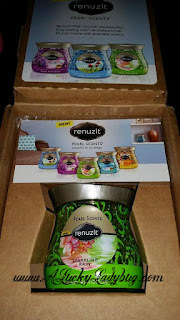 We put the Renuzit® Pearl Scents® in our dogs room where our three dogs sleep and eat and literally stink up the room worse than anything. I have tried everything to keep this room "nasty smell" free and honestly the only thing that works is washing the beds as frequently as possible. 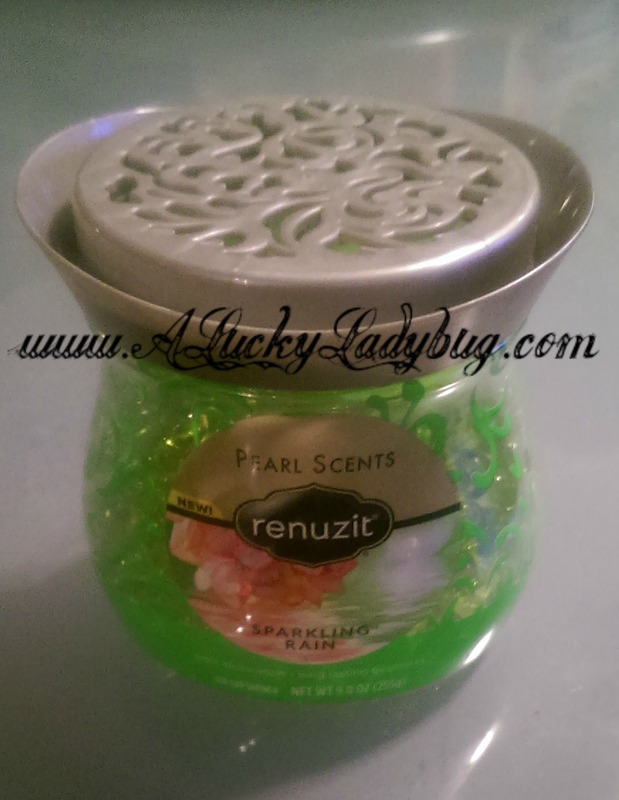 With the Renuzit® Pearl Scents® I can honestly say I noticed a difference. I love not having to purchase tons of air fresheners to fill up my plugs around the house or having burning candles around where my children could potentially burn themselves. These are more natural solutions to everyday honest odor issues. Recommendation: Depending on your need for air freshening, I would recommend giving these a try. If you aren't one who loves the over powering smells of candles or outlet plugins then these are for you!